Your rider would be honored to have your support! To make it onto the Tour DaVita roster, you must raise a set amount of funds well in advance of the Tour. Your tax-deductible donation benefits Bridge of Life*, a nonprofit organization working to improve health care globally through sustainable programs that prevent and treat chronic disease. It also enables your rider to experience the Ride of a Lifetime! If your rider is a DaVita teammate, they must also use their personal time off and pay their own airfare or other travel expenses to and from the starting point. Then there’s the really hard part — training and conditioning so they’ll be able to cycle 80-100 miles per day! 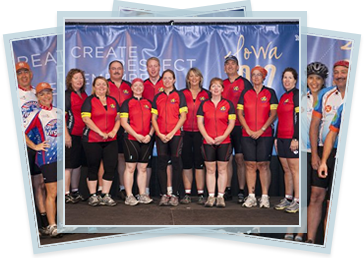 Tour DaVita is a chance for riders to give back to the health care community while pushing themselves beyond their achievable limits with the support of fellow teammates, friends and family members. The ride is not a race, but a chance for more than 500 riders to get together to help make a fundamental impact on the communities in which we live and serve. 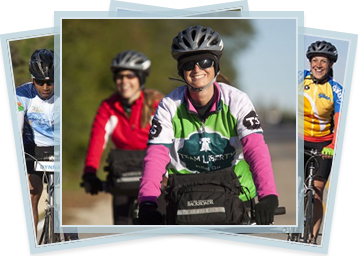 "For our riders, Tour DaVita has become more than just a cycling fundraiser. Every year, as it grows larger, we continue to raise awareness of kidney disease and funds for medical missions while celebrating our teammates and their commitment to caring for our patients. We are continually awed by our riders', teammates' and sponsors' dedication to this cause." *Bridge of Life is a nonprofit organization founded by DaVita, Inc. and operating under DaVita Village Trust, Inc., a 501(c)(3) public charity. Federal EIN for DaVita Village Trust is 46-2960097.
who are riding together to increase awareness of CKD and to help those already affected. Recycle your old phone, iPad, laptop, or gaming consoles and generate funds for Tour DaVita. Thank you for your interest in sponsoring Tour DaVita.